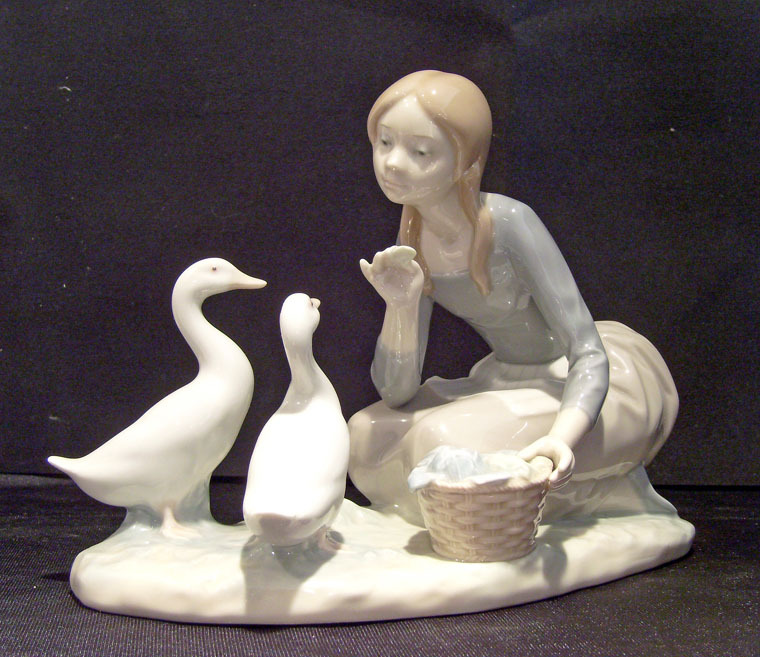 Lladro Figurine #4849 Feeding the Ducks -- Lovely Lladro figurine in perfect condition with no chips, cracks or repairs. 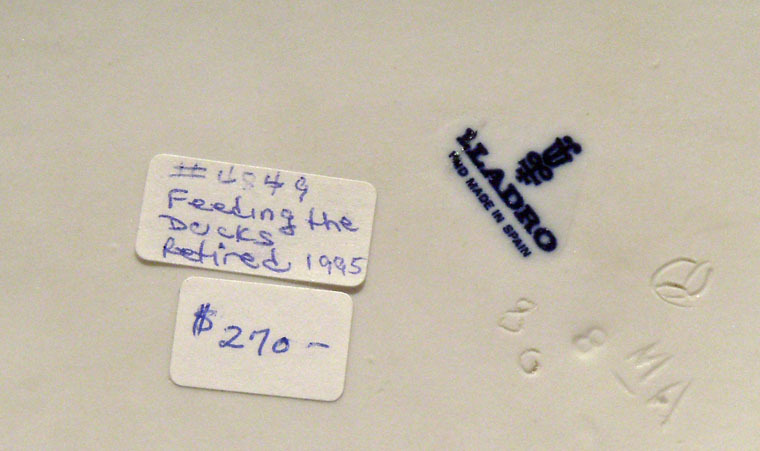 It was retired in 1995. It measures 3 1/2" x 5". There is no box. 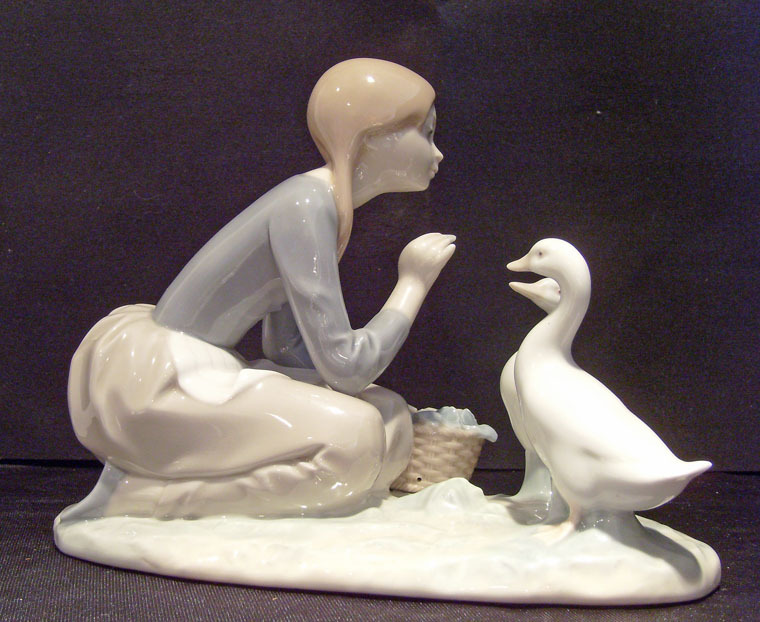 Lovely Lladro figurine in perfect condition with no chips, cracks or repairs. It was retired in 1995. It measures 3 1/2" x 5". There is no box.